It’s a bird! It’s a plane! It’s a shoe! 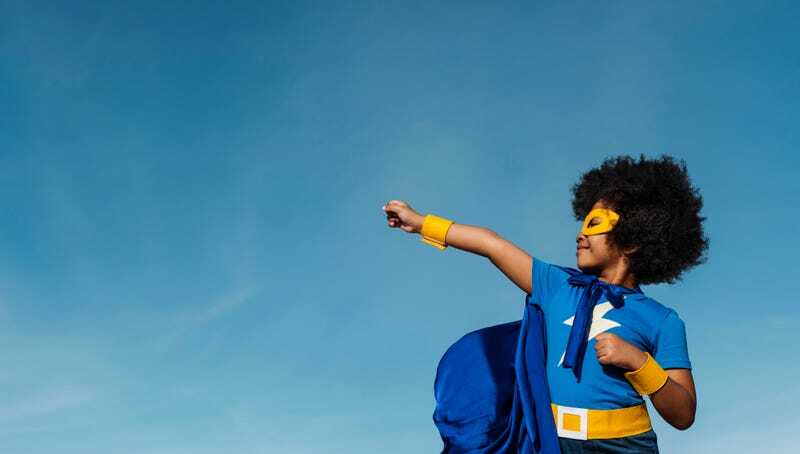 Rarely do the words “innovative” and “adorable” occupy the same space, but we just learned about something that is both: New children’s shoe line Super Heroic has arrived to save the day—or, in this case, save the play. The impetus was personal; Mayden’s son was experiencing health problems, compelling him to “research the problems he saw with childhood obesity and the rise of anxiety and depression in kids and find a way to fix them,” as Co.Design reports. After soft-launching last summer, Super Heroic launched its third iteration of its signature Galactix design on Tuesday, available for kids ages 4 to 11 through the company’s website. Designed to perform on a variety of surfaces, the shoe also features a laceless design, replacing laces with an adjustable “utility strap” to hold small feet in place, as well as a “heel bumper” to assist kids in putting them on and taking them off all by themselves. Mayden also put plenty of research into how kids play, enabling him to design a shoe specifically to support growing feet, rather than just miniature versions of adult styles. There’s stabilization around the perimeter, and cushioning in the center of the sole. Mayden’s instinct about instilling inspiration into play was on point: A 2016 study points to the “Batman Effect,” in which costumes encourage kids to work and play harder and had positive outcomes on childhood development. “They believe it’s not them, it’s Batman, so therefore they’re held to a higher standard,” said Mayden. But the superhero motif runs throughout the Mayden family business: In addition to his kids’ involvement, his father is the company’s chief operating officer.